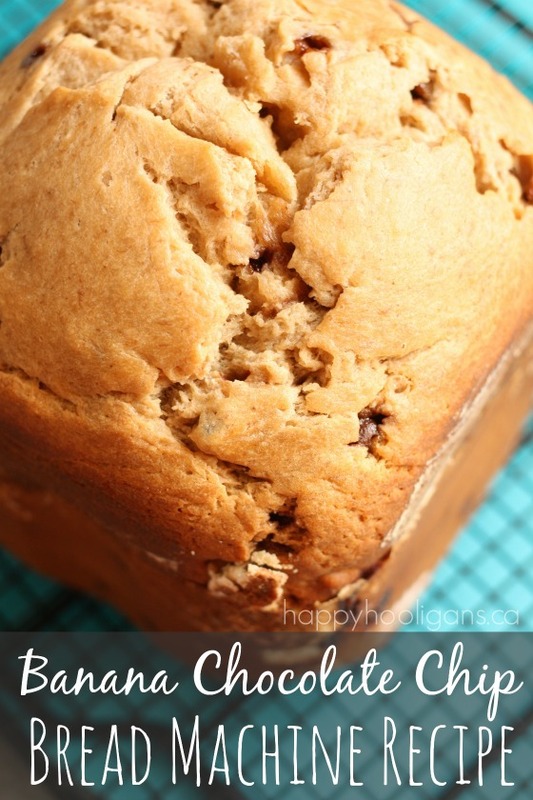 This banana chocolate chip bread machine recipe is so easy! Just toss the ingredients into your bread maker, press the button and walk away. Two hours later, your home will smell heavenly, and you’ll be slicing up some moist, delicious homemade banana bread! I am on a mission to get more creative with my bread-maker. I have a handful of favourite bread and dough recipes, but I tend to make them over and over again. It’s kind of silly when there are hundreds of different recipes for bread machines that I could be trying. 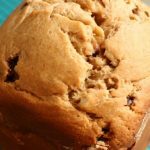 Because my family LOVES banana cake, and because I have some bananas that need to be used up, we’re giving this banana chocolate chip recipe a try today. And here’s the plan: I’m going to try a new bread machine recipe every week or two, and if it’s a hit with my family, I’ll share it here on my blog with you. 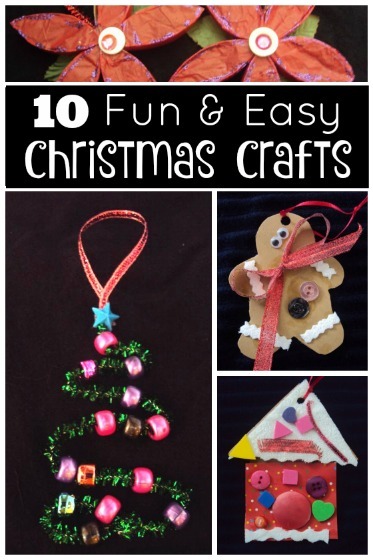 Hopefully, some will become new favourites for your family too! 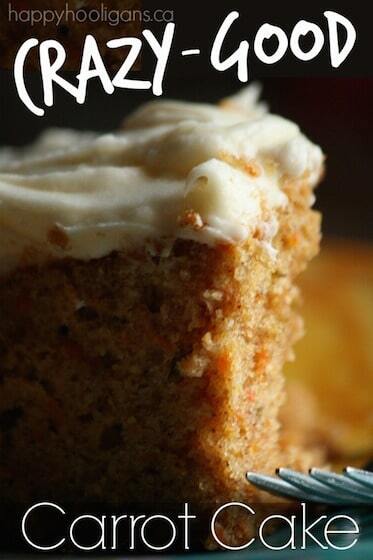 *There’s a printable version of this recipe at the bottom of the post. Pour your eggs, butter, milk and bananas into the bread pan and set it aside. Next combine all of your dry ingredients in a medium-sized bowl, and stir until well-mixed. Add the dry ingredients to the bread pan. Press the “Quick Bread” button on your bread machine. On my machine, this cycle runs for 2 hours. At the end of the cycle, insert a long knife or skewer into the bread to see if it’s done. If it comes out clean, you’re good to go! If your banana chocolate chip bread needs a few more minutes, check your control panel to see if you have a “bake only” button. Mine works 4 works in 10 minute increments, so you can extend the baking time for 10 minutes when necessary. When baking cycle is done, remove bread from pan, and allow to cool on a baking rack. Slice, smear with butter and enjoy! Little secret: make our 10-minute homemade butter in a jar to take things to the next level! 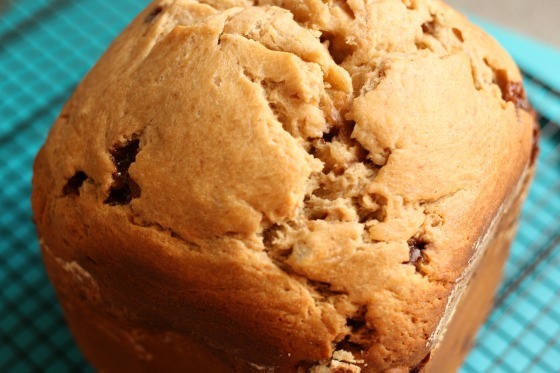 No need to heat up the oven for this banana bread! Just toss the ingredients into the bread machine and walk away. Delicious! Certainly. Type measurement conversion into your google tool bar, and you’re good to go. In the instructions, step 4 says choose “quick bread” on your frying pan. How do I that option on my pan?! All jokes aside, great recipe and I will definitely look for more from your blog! I cannot find a “bake only” button. And it is completely undercooked. Any suggestions on how to save it? Apparently the quick cook feature was not the best pick for my breatdmaker and this recipe 🙁 Thank you! Eek. I’m not really sure how you’d save that. I wonder if you could set the bread pan in a regular oven to finish cooking. My bread machine does not have a quick bread option. Just a 1.5lb or 1lb loaf option. Do you think this will work on a small loaf setting on the “rapid” setting? The recipes looks really good. I want to try it out. I’m not sure if it would work on the rapid setting, Tammy. I’m inclined to think that it wouldn’t. Try googling “banana bread rapid setting”, and see if anything comes up. FYI, it does not work on the rapid bake setting – from personal experience! No, because the rapid setting is so quick, you can only use recipes that have been modified for that setting. Should I cook this as a 1.5 pound bread or 2 pound? Also, do you mean 1/2 “cup” chocolate chips and walnuts? It was so delicious and perfect . thank you for sharing. Fabulous recipe! Works perfectly in my Oster bread machine! Thank you so much for sharing! Yay! Glad you loved it, April! I have an Oster also but it does not have a quick bread setting! Help! I hope you get it figured out! Wish I could be of more assistance! I commented on this last week, and it was never posted. I think because it was a negative review. Maybe not. I cannot even remotely recommend this recipe. I followed it exactly, and the bread was just tasteless. The chocolate chips melted and just made the bread brown without adding any flavor. The banana taste was almost non-existent, if I had not seen myself add the bananas, I would not have guessed any bananas were in it. I took three bites, spit out the third and threw the entire loaf in the trash. There was no flavor at all in this! What a waste of good ingredients. Save yourself the trouble, time and expense and don’t try this. Do you have an Oster Machine? Mine seems to have done that too. They all melted and blended weird. Made this in a loaf pan and worked great…I just add one more banana, some walnuts, and a quarter cup of wheat flour, or any flour (to soak up the extra banana). It was pretty darn good. I have used this same recipe for years, except I use 3 Tablespoons of oil instead of the melted butter. I am going to try the butter once and see if I like it better. One thing for the person who thought the bread was tasteless is make sure you are using ripe bananas, the blacker the better! I have an Oster machine and it does not have a quick bread setting. What I do is use the dough setting and mix for 5 minutes using a rubber spatula to get the flour off the sides of the pan, and then press bake and bake it for about an hour and ten minutes.I then take the pan out of the machine and let the bread set for about 10 minutes before taking it out of the pan. I have made at least 100 loaves of this bread and everyone loves it! Tried this out today and it tastes great, I just substituted the nuts for dried fruit and added 1 tsp vanilla essence & 1 tsp ground turmeric. Yay! Glad you liked it, Linda! I have just made the banana bread in my Eletrolux machine. It cam out perfect. I used “Cake” setting on my machine and it took 1 h 22 min. Didn’t need more baking. Very nice texture and taste. The only thing I don’t like is the hole in the bottom of the cake, but that’s unescapable if you’re baking in a machine. Really delicious! I will definitely be making this often. I also have an Oster, and I recommend manually mixing the wet and dry ingredients before starting the machine and not relying on the short mix of the quick bread cycle. It’s missing the “cup” after “½”. Thanks, Tom! I’ll fix that! I’m not sure, Diana. I’ve never tried any gluten free recipes. 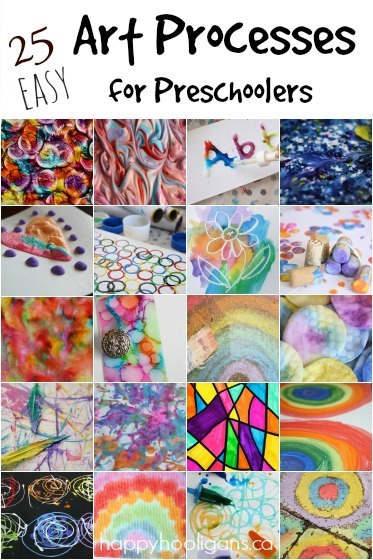 Have you searched Google and Pinterest? My Belleville bread machine came with a gluten-free banana bread recipe… I think the manual is online, so you could look and see what they do there. Beautiful banana bread. I use a recipe similar, I have included as instead of cups, I use grams, but I omit the milk and salt (I use bakers flour as well). I use 3 tablespoons of oil instead of butter. 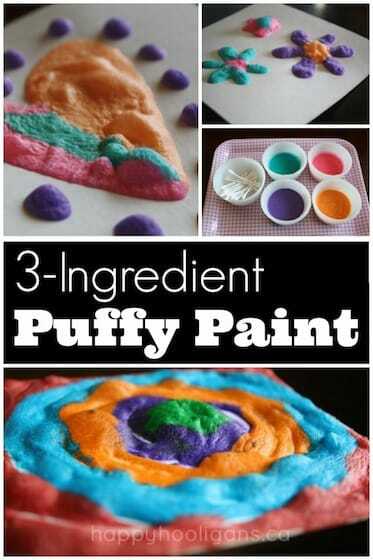 And I use 1 teaspoon of baking powder and 1/2 teaspoon of baking soda. 2 ripe bananas and 2 eggs. My machine is a Tefal. I use program 6 (dough mix), for 5 mins. I scrape the sides down to help mix better too. Stop machine. And reset to program 10 (bake only). Adjust time to 1:10 and press start. When time up check if cooked by inserting wooden squewer. 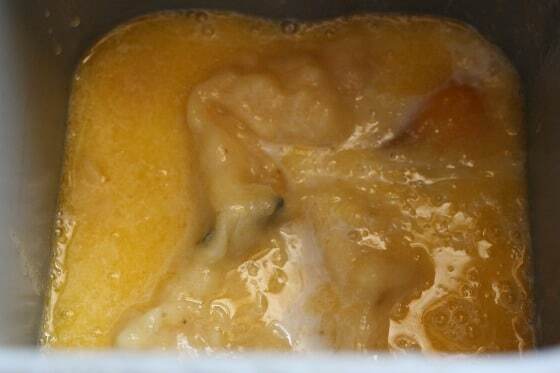 If it comes out wet and gooey cook another 10 mins. My family loves it. Baked daily in my house. It doesnt look like bread at all! I followed the exact ingredients and steps but the mixture is just too wet. The “bread” came out from the machine w only an inch tall. How strange. With that many ingredients in the bread pan, how could it only turn out an inch tall. Did your ingredients not half-way fill the bread pan before you began baking? Are you certain you didn’t leave out the flour? That’s the only way I can imagine it “not looking like bread”, being far too wet, and only being an inch tall. That’s wonderful, I can use my bread maker to make another type of bread, I think I have to do at least 2 time to make that successully, thanks very much for your recipe. Everybody loves it! Luv!! Thanks for the great recipe! I made this bread twice now in my bread machine using splenda instead of sugar and it comes out with a really weird dull color and is kind of extra dense…. I guess I will have to try it with real sugar to see if the splenda is the problem. It still has a pretty good flavor. Thanks for the recipe! I made this last night and it turned out good. My bread machine has a “Batter Bread” which is a total of 1:50 minutes compared to the author’s 2:00. Although if I make it again, I will lesson the bake time by about 10 minutes. It is a little on the dry side and I am wondering if 10 minutes would make it a little less dry. The only thing I did was sub the butter for the oil. When I first start making recipes with my bread machine, I did a little research and everything I could get my hands on said to use oil instead of butter (save the butter for the outside when you are eating it–not the inside when you are cooking it) and the reasons for it (can’t recall the reasons listed, but they made sense and I remembered the mantra!). I do use bread flour though. I have been throwing all my ripened bananas in the freezer now for well over 2 years. When I need to use banana, I just go to the freezer and pull out what I need. They thaw ridiculously fast and I think the texture of a frozen banana is so much easier to work with than a ripened banana that has not been frozen. 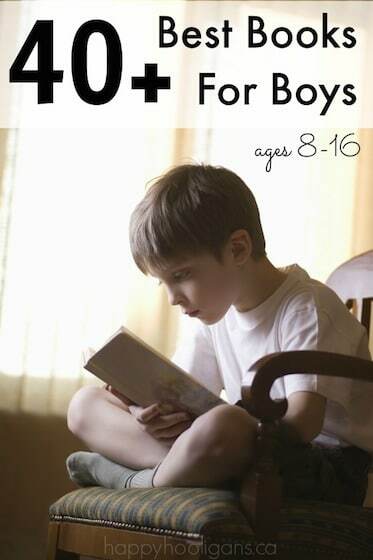 I wish I would have known about this ten years ago. I have no idea how many bananas I have tossed in the garbage. I will make again but just stop baking at 70 minutes and test it. 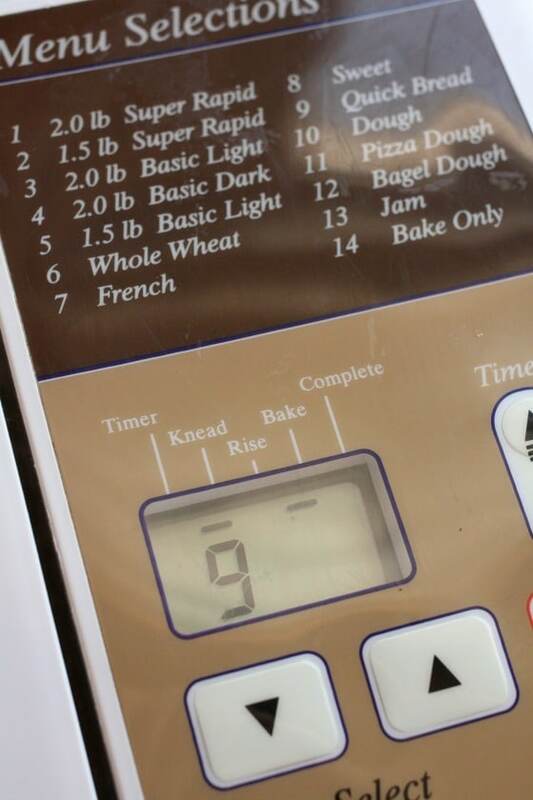 My actual baking time on my bread machine for this option is 81 minutes (out of the 1:50). Oh yeah, I forgot….I did add a few more chips….peanut butter chips to be exact because peanut butter and banana, well, you know…..delicious. And I used pecans instead of walnuts because hubby hates walnuts. We absolutely LOVE this bread! We make it regularly and it’s gone within 24 hours! If you’re from the UK like I am, just buy the cup measurements from any supermarket/Amazon and you can follow this recipe without converting it! Wonderful recipe! I made it yesterday & it was a big hit! I will definitely be using your recipe over & over. I made this recipie twice. First with the quick bread setting but found it came out flat and dense, still with great flavour (I added one more banana). Second time I made it I used my sweet bread function and it rose so much more and was still delicious! For what it’s worth, please be aware that no two bread machine models are alike. If your machine is not identical to the authors, your results WILL BE different. Any recipe that does not identify the specific brand/model of the machine used, plus all settings and times (including loaf size) the end result will be questionable. This is probably why the previous replies vary so wildly. The instructions that came with my (gifted) Hamilton Beach machine included a mixing, kneading, cooking time chart for each setting. I searched and found that one or two other brands also had somewhat similar charts. But most of the machines I researched did not. So, there may be no way to compare settings, and no way to predict outcome from an incomplete bread machine recipe. I even tried to identify the machine used by this author (from the pix of his control panel) but I had no luck. So, I have no idea how the settings on his machine might compare with the settings on mine. Producing a successful loaf of bread is an exercise in chemistry and physics. As far as I can tell, successful results comes down to the controlling the mass of the ingredients, interaction between the active ingredients, and the time and wattage of the cooking cycle. Any variation from those specified (or unspecified) by the recipe’s author could result in a disappointing result. 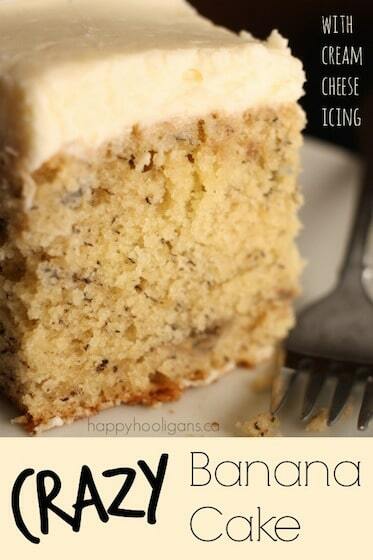 This is a delicious and super easy way to bake banana bread. I used my Oster brand bread machine on the quick setting and it baked the bread perfectly. About halfway through the baking time I sprinkled some chocolate chips and nuts on top to make it look pretty. Next time I’m going to try using brown sugar instead. I think that would provide a bit of extra flavor and moisture to the loaf. Yay! I’m so glad you loved it too, Katie! This recipe is so easy to do & it is delicious!! My Husband goes nuts for this I have to keep a lookout so he doesn’t try to slice a piece off before it’s cooled enough! lol!! He’s worse than a kid! The 1st time I made it he ate about 3/4 of the loaf himself!! Haha! Sounds your husband and my husband would get along great, Carol! Nope. Not for this recipe, Jon. Thanks Jackie, for sharing your recipes,its delicious banana bread. Congratulations and best wishes. From México City. You’re so welcome, Miguel! Thanks for stopping by! I’m a little surprised so many people had a hard time with this or it didn’t turn out right for them. I’m fairly new to making bread, but I followed the recipe exactly (minus being a tad shy on walnuts), and I didn’t have any problems. I had a little “dust” on one end and side of the loaf where some dry ingredients didn’t get all the way mixed in, but it brushed off and didn’t seem to hurt anything. I didn’t necessarily LOVE this recipe, but it was good. It may just be my bread machine too, but this had a bit more of a crust to the outsides than what I would want on a banana bread. It was my first time making quick bread in my machine too though. That being said, the inside was soft and delicious. I didn’t have any problem with chocolate chips melting and getting mixed into the bread turning it brown like one person mentioned, and the banana taste was a tad mild, but definitely there, for me. I would make this again, but hope I can find a way to soften up the outside to make it more to my liking. It was really easy to make with these instructions though. I decided to make it again but this time I mixed the ingredients by hand and poured it into the bread machine and baked it according to the directions. It came out PERFECT! Great tip about using 3 Tablespoons of oil. Good to know if I ever run out of butter or I may just bake it again with oil the next time. Thanks! Oh wow! Thanks for sharing your experience, Debbie! I’d like to know what brand of bread machine you have. I have a Welbilt that does not have a “bake only” option. Sounds like that would be a good feature to have for certain types of breads. Mine is a Regal bread machine. I’m scared to just plop the wet ingredients in the pan without mixing them into the dry ingredients! Does that really work? Yep. That’s the way bread machines work, Nicole. You add the wet first and then the dry, and when you turn your machine on, it will go through a mixing and needing process. I made this recipe and it was delicious. It tasted like a cake. My friends also enjoyed it. My only problem was that the chips melted in my bread pan, and the cake (oops bread), didn’t look like the picture. However, it was still delicious, and I plan on making this recipe again. I loved it, and so did my friends. It tasted like a cake. I plan on making this recipe again. My only problem was that the chocolate chips melted during the bread cycle, and the finished product didn’t look like the picture. It was still good, though. Do you needed to mix the eggs, butter and milk before putting it in the machine? No need to mix them together first, Lyzatik. I made this yesterday. It came out perfectly. The only difference from the original recipe was that I used chocolate chunks instead of chocolate chips because it’s what I had in the house. I wouldn’t recommend it because they migrated to the edges. And I added 1/2 teaspoon of vanilla extract. My wife doesn’t like bananas or walnuts and she loved it. Good to know about the chocolate chunks! Glad it was such a hit, Marc! Does this require active dry yeast???? No, this recipe doesn’t require yeast, Tabby. It’s not a traditional bread recipe that requires the bread to rise. It’s similar to banana bread or banana loaf that you’d bake in the oven. This recipe doesn’t require yeast? No, similar to a banana loaf that you’d bake in the oven, no yeast is required, Michele. Thanks for this recipe! Tried it out the first time & it worked well….the family loved it! I put in 3 Tbs of oil instead of butter, used 1 cup of gluten free flour & 1 cup of normal flour and I added an extra banana. The only strange thing was that the top part of the cake that rose was drier than the rest of the cake & one can actually see the colour difference 🙂 but it tasted great. I used the Quick bake option on my bread maker but found the sides a little over done. Will have to try reducing the bake time next time. I have made this bread several times. The results have been great each time, and it taste just like a cake. I’ve received positive reviews about this bread from others. My only suggestion is to add the chips after the liquid ingredients, as they melted when I added them with the dry ingredients the first time I made this bread. The bread came out dark, but it was still good. Hi. This is a great recipe that my family enjoys. I just toss everything directly in the breadmachine. No need to mash the bananas beforehand. 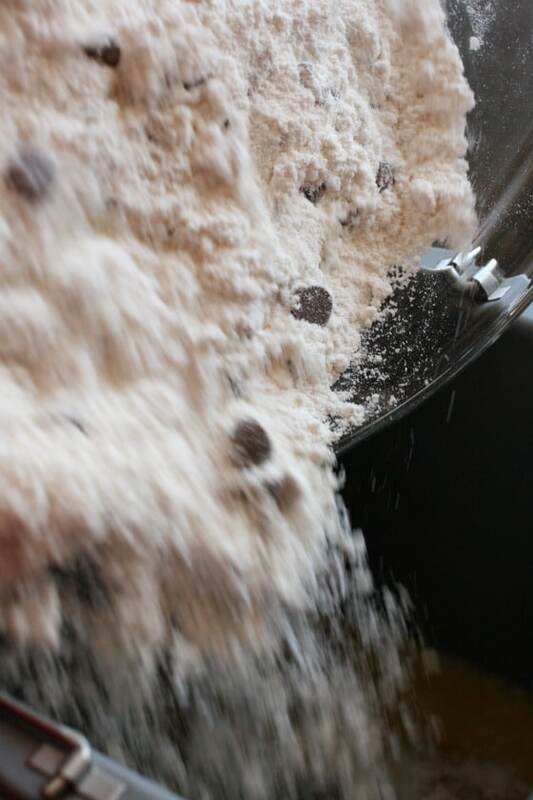 No need to mix the dry ingredients in a bowl. The “stir” part of the “quick bread” setting takes care of everything. Have an older style bread machiene. Sunbeam. Epic fail. Chose ‘sweet option’ and ‘rapid’ and ‘medium’ after what seemed like 2hrs of prepping,rising etc. it finally started baking. While the outsides of bread were great,it left a big liquid hole in the middle and top. It has a ‘bake delay’ setting but can only be used b4 starting cycle. Now it is in my oven trying to bake rest of the way. What crumbs i ate so far tasted good. Thank you for the recipe! I made the bread using bread flour in my cuisinart cbk-110. I followed the recipe as is except omitted walnuts. I also used ripe bananas. I feel that I could have used another banana or banana flavored syrup to give it more flavoring. Also, definitely going to double up on the chocolate chips. On the machine, instead of rapid cycle, I used “cake” program which goes just at 1hr 52 mins. I had to add another 30 mins. Cooled it on wire rack for 2 hours and it was still pretty warm on the inside. Made few slices of half of the loaf and 3 hours later, sliced the rest of the loaf. It wasn’t dry at all. If I double up on chocolate chips and add extra banana, do I need to make any changes to the recipe? I don’t think adding chocolate chips and one more ripe banana would make too much of a difference to the baking instructions, Sweta. The extra banana might mean you have to cook it a wee bit longer. Making it now – I didn’t add walnuts, and took the paddle out just as it started on the bake cycle. The only issue I had with it so far is that my bread machine doesn’t mix quick breads well, so I had to randomly scoop the flour out of the corners. No big deal. The batter tasted good, so we’ll see how the final product tastes!